Caudipteryx was a small dinosaur that lived in the early Cretaceous period, about 125 million years ago. Fossils of the animal were first discovered in China during the late 1990s. Caudipteryx was about3½ feet (1 meters) long, and had a mixture of bird-like and reptile-like features. 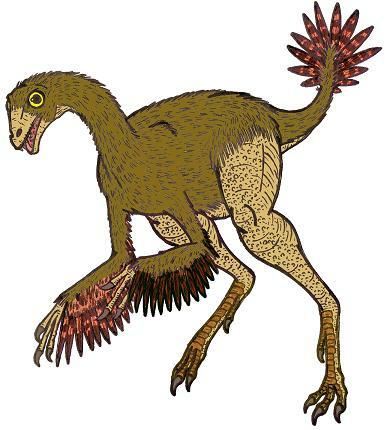 The bones of its hand, with a reduced third finger, resembled those of birds, it had a shortened tail, like birds, teeth like those of primitive birds, possibly a reversed first toe, like that of birds, as well as over all body proportions which resembled those of modern flightless birds. Additionally, Caudipteryx is known to have had long feathers on its forearms and tail, and short downy feathers on its body. Despite having a number of bird-like features, Caudipteryx is not thought to have been capable of flight - instead, it is thought to have been a fast runner. 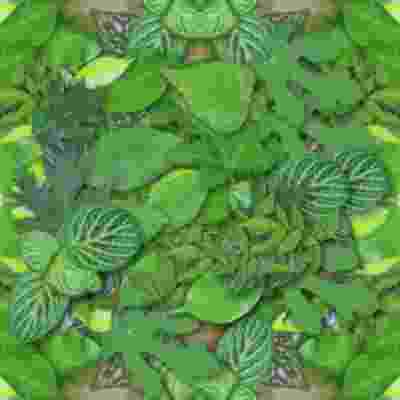 As far as diet is concerned, it is generally thought to have been an omnivore - the presence of gastroliths (stones that were swallowed to help digest tough plant matter) in at least two specimens suggest that plant material did form a significant part of its diet. Asian Dinosaurs - Caudipteryx lived in China. 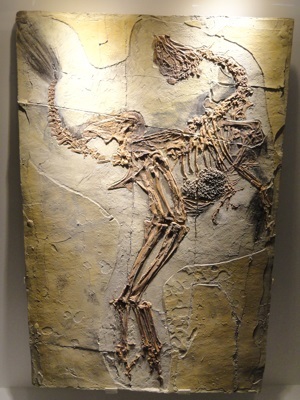 Caudipteryx was a genus of dinosaur. Caudipteryx was a member of the Saurischia ("lizard-hipped") order of dinosaurs. What this means, is that although Caudipteryx was not closely related to lizards, it did have similarly shaped pelvic bones. Caudipteryx was a Theropod - a member of a group of related bipedal dinosaurs that included the ancestors of birds (although Caudipteryx was not itself an ancestor of birds). Caudipteryx lived about 125 million years ago, during the Cretaceous period. Caudipteryx was a omnivore (ate both meat and plants). Caudipteryx is thought to have swallowed stones which would have been used to help grind up food, especially tough plant material (some modern birds do the same thing). Such stones ("gastroliths") have been found in at least two specimens of Caudipteryx. Caudipteryx was about 3½ feet (1 meters) long. Caudipteryx weighed about 15 pounds (7 kilograms). This peacock-sized dinosaur is thought to be an ancestor of dinosaurs like the Oviraptor. The long feathers on its tail and arms were probably brightly colored, and indeed, wonderfully preserved specimens of the Caudipteryx show that its tail feathers were striped in light and dark bands! Made with Safari Ltd's industry-leading standards, this product has been individually hand painted, features solid construction from quality, safe, phthalate-free and lead-free materials, and includes an educational hangtag in 5 languages. A 1:5 scale model, Safari Ltd's Carnegie Scale Model Caudipteryx measures 7"L x 3.5"W x 5.3"H.
Even though the feathers of Caudipteryx look very much like those of today's birds, this little dinosaur definitely could not fly. It is thought to be an earlier, more primitive relative of dinosaurs like Oviraptor. The long feathers on the arms and tail of Caudipteryx were probably brightly colored, perhaps for "showing off" to other members of its species. Indeed, beautifully preserved specimens of this dinosaur show that its tail feathers were striped in light and dark bands! Most skeletons of Caudipteryx have been found with gastroliths ("stomach stones") inside their ribcages, which may have been used to grind up plants in the gut of this dinosaur. The long legs of Caudipteryx suggest that it was a fast runner. 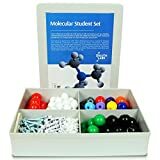 Duluth Labs Set will bring to life concepts such as chirality, conformations and isomers to help you relate the physical and chemical properties of compounds to their molecular structures. IMAGINATIVE PLAY: Your child will have endless hours of fun as they get immersed into a Jurassic World with their dinosaur figures! PERFECT FOR CHILDREN: Suitable for toddlers and children ages 3 and up! This dinosaur playset for kids will be loads of fun and is perfect for both solo play and group activity! 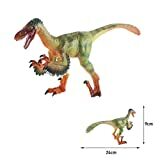 The jumbo realistic dinosaur figures will spark hours of imaginative play. Make away your kids from electronics and let your child's imagination run wild as they create imaginary interactions with prehistoric jurassic dinosaur park. Feature: Brand new and high quality. 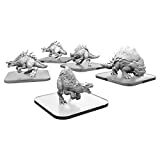 The large dinosaur action figures set includes a assortment of plastic dinosaurs head in realistic colors, they will help educate your child while they roar and stomp and imagine wonderful interactions between their T-Rex, Stegosaurus, Triceratops and Monoclonius, to build a more realistic jurassic dinosaur park. Dinosaur toys are great to use with homeschool, for fun bobble entertainment during a road trip, as props for your child¡¯s science experiment, or even a trip to grandma¡¯s house. The jumbo realistic dinosaur figures will spark hours of imaginative play. 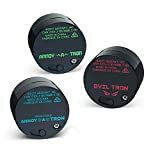 Make away your kids from electronics and let your child's imagination run wild as they create imaginary interactions with prehistoric jurassic dinosaur park. Among the swiftest and most agile of Terrasaurs are the raptix, smaller but still lethal carnivores that are noteworthy for their powerful legs and leaping ability, allowing them to intercept low-flying aircraft. This blister contains Terrasaur units to expand your Protectors force. Raptix are quick and maneuverable melee fighters, capable of great bounding leaps. Brontox are solid, nearly immovable units that hold objectives and allow you to more easily bring units into the fray. Among the swiftest and most agile of Terrasaurs are the raptix, smaller but still lethal carnivores that are noteworthy for their powerful legs and leaping ability, allowing them to intercept low-flying aircraft. Brontox are herbivores and among the gentlest of Terrasaurs, bringing instead a stoic disregard and virtual immunity to small weapons fire, protected by thick hides and muscle mass. Brontox are sent forth to expand Terrasaur nesting grounds, protecting eggs until they can mature. This blister contains Terrasaur units to expand your Protectors force. Raptix are quick and maneuverable melee fighters, capable of great bounding leaps. Brontox are solid, nearly immovable units that hold objectives and allow you to more easily bring units into the fray. 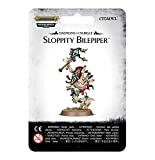 While the jokes and songs of Plaguebearers infected by the Chortling Murrain find little purchase amidst the glum Plaguebearers, Nurgle's other daemons find the antics of the Sloppity Bilepipers hilarious.